Found 15 file extension associations related to Descent and 11 file formats developed specifically for use with Descent. Descent is a 3D first-person shooter video game developed by Parallax Software and released in 1995. Although unsophisticated by modern gaming standards, it is still cherished by a strong community of fans, particularly for online multiplayer, and new levels continue to be developed. 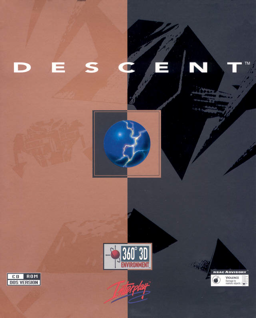 It spawned two direct sequels: Descent II and Descent III. The series has a strong following due to its unique six degrees of freedom (6DOF) gameplay. However, because this gameplay can be challenging and strongly favors the use of a joystick, Descent never gained the popularity of more conventional ground-based 3D first-person shooter games. If you need more information please contact the developers of Descent (Interplay Entertainment Corporation), or check out their product website.